Luxury, safety, and fun are all combined to create one cohesive offering of a car in the Nissan Altima. Let’s start off with the Nissan Altima’s glorious appearance. Premium taste is a highlight in the Nissan Altima design philosophy, and the car definitely showcases it with its top-of-the line aesthetics with its stylish and functional looks. The blade-shaped grille of the Nissan Altima is an impressive design element that will guarantee stares from all over. Covered in chrome, this design element exudes bold lines that can be seen on different aspects of the car. Particularly on the sides and rear, the bold lines continue to be streak across the car. Even the roofline continues the bold line treatment, flowed seamlessly onto the shark fin antenna located just above the rear windshield part. Window frames are even highlighted with a touch of chrome, creating a classy and professional appearance. Additionally, the panoramic sunroof just doesn’t look good on the car – it offers a great view of the skyline as well. The Nissan Altima’s 17-inch alloy wheels do not also provide the necessary grip when one needs it in this stylish car; it also offers a unique and definitely premium look that motorists and executives deserve when taking the Altima for a spin. For the Nissan Altima’s interiors, the best way to describe it is professional and capturing the feeling of one’s home. Luxury and comfort is best emphasized with the Nissan Altima’s upholstery. 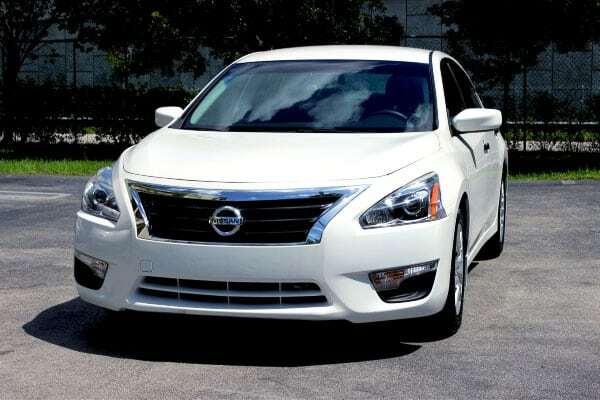 The chrome accents seen on the outside can be found in the Nissan Altima as well. With the dashboard having hints of chrome inserts, motorists and passengers can absorb the feeling of how being in an executive and appealing car is like. The Nissan Altima’s greatest pride is the safety features and functions it offers for its owners and passengers. Setting the landmark on safe road technology, this car is the vehicle you can trust your life (and even your loved ones’) on. Drivers are assured that even on their blind spots that they’ll stay safe and sound. Vehicles detected within the vicinity of the blind spot area will be tracked on the Advanced Drive-Assist® Display, notifying the driver to make split-second decisions should he or she needs it. An innovative take on preventive motoring accidents, the Altima’s Forward Emergency Braking system makes use of radar technology to gauge how fast and how far cars ahead of you are. If the situation arises, the system can apply emergency brakes to avoid possible collisions. Taking the above feature one bar higher, the Nissan Altima’s Predictive Forward Collision Warning technology monitors at least the possible variables of a collision two cars ahead of you. An audible warning will help keep a driver’s wits up; a visual cue can be seen on the instrument panel. With six airbags located in key spots within the car, the Nissan Altima considers every possible scenario – and provides a solution that will result in both driver and passenger safety. Combining the best in top speed and fuel efficiency, the Nissan Altima’s power output can be a beast to behold. 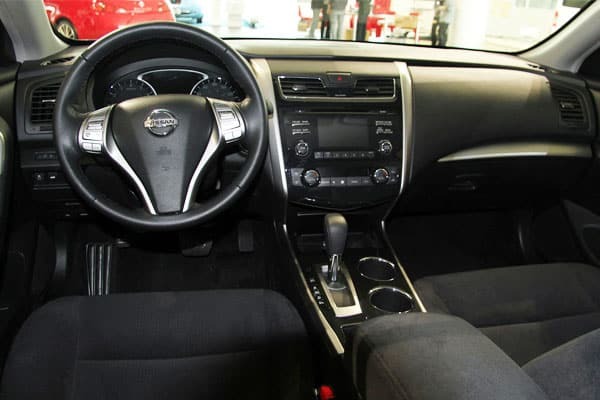 With different engine variants to choose from, motorists of different driving styles are assured that there is an Altima that will best suit their needs and preferences. Additionally, shifting in the car is a comfortable and impressive experience. The Xtronic Continuously Variable Transmission (CVT) transmission delivers seamless and efficient rides – delivering both power when needed, and comfort and relaxation as a priority. For the control that every driver desires and deserves, the Nissan Altima’s innovative steering wheel is the main platform to give just that. Paddle shifters are conveniently located on the steering column, allowing motorists to change gears right at their fingertips. Speaking of control, the suspension and traction system of the Nissan Altima is definitely above the rest. The smart traction control system will sense wheel slip or spin, responding as needed to help drivers gain control even during the most slippery of circumstances. The multi-link suspension system adapts seamlessly as well – giving drivers the refreshing sense of agility that this car surprisingly provides. Lastly, the electronic brake force distribution system works in line with the mentioned safety braking system above. Even the added weight of people in the rear seats and a full tank will make the car automatically configure brake settings – a perfect safety net when you just need to make a sudden stop. 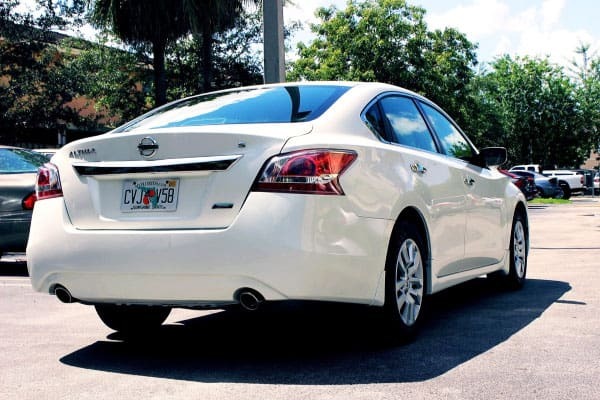 The Nissan Altima is one fine ride that everyone deserves to experience. A complete package when it comes to performance and safety, this is the car that you want to have for your family. Enjoy and have a fantastic drive in this car now.